You can now also add herpes to the list of many perils and challenges to human health that outer space poses. According to a new study, spaceflight weakens the immune system enough to reactivate dormant viruses such as the Epstein–Barr virus (EBV), varicella-zoster virus (VZV), and herpes-simplex-1 (HSV-1). Researchers at the Johnson Space Center found that spaceflight increases the secretion of stress hormones like cortisol and adrenaline, which are known to suppress the immune system. This way, viruses inside our bodies that are in a latent state (meaning they do not replicate) become reactivated because immune cells are no longer able to suppress or eliminate them. Mehta and colleagues analyzed saliva, blood, and urine samples collected from astronauts before, both during and after spaceflight. Most people get oral herpes — or herpes simplex virus type 1 — by the age of 20. Following the first infection, usually after one or two weeks, the virus will become dormant in facial nerve tissues. 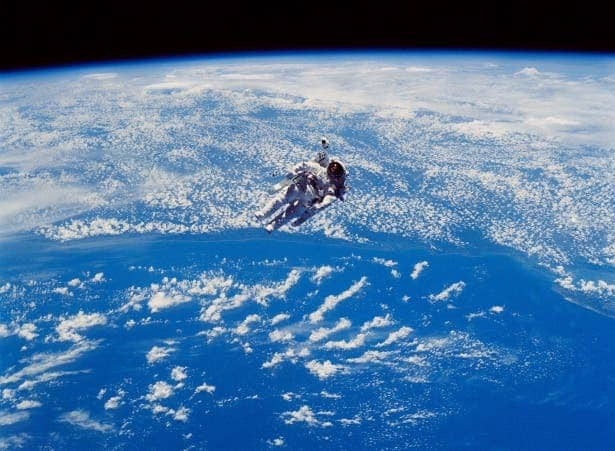 The researchers found that about half of all astronauts aboard Space Shuttle and International Space Station had four of eight know herpes viruses in an activate state, although only six astronauts (a small proportion) developed symptoms. Other reactivated viruses include CMV and EBV, which are associated with different strains of mononucleosis or the “kissing disease”. The researchers found that virus shedding was active in astronauts for up to 60 days after returning to Earth. Although only a few astronauts developed symptoms, continued virus shedding could endanger immunocompromised or uninfected contacts on Earth, like newborns. This is just one of the many adverse effects caused by spaceflight. Previously, researchers found that prolonged exposure to a microgravity environment can result in tissue damage to the gastrointestinal tract, eyes, and brain. Mehta and colleagues suggest that targetted vaccine protocols for astronauts might offset some of the risks associated with virus reactivation. “Trials of other herpes virus vaccines show little promise, so our present focus is on developing targeted treatment regimens for individuals suffering the consequences of viral reactivation,” Mehta said. “This research has tremendous clinical relevance for patients on Earth too. Already, our spaceflight-developed technologies for rapid viral detection in saliva have been employed in clinics and hospitals around the world. The findings appeared in the journal Frontiers in Microbiology.